Experience the bay on a guided tour. 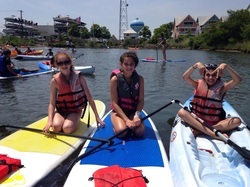 Tours are offered on kayaks and stand up paddle boards. Groups can choose to trade back and forth to enjoy the best of both. Our experienced guides travel beyond the cove and lead participants to unique areas of the bay including tranquil marsh environments to the open bay. Feel safe with our guides looking over you while you discover wildlife. Although all levels are welcome on our tours, we recommend an this experience to advanced beginner paddlers (been on a Kayak or Stand Up Paddle Board one time or more) in order to keep up with the group. Tours offer the memorable experience of waterfowl and sea life viewing. The Maryland Diamond back turtle is often seen in sections of our nature tour as well as bald eagles and the occasional dolphin. Plenty of options for the tour. Stand Up Paddle Boards accommodate a single rider while our Kayaks fit up to 2 people. Feel free to trade off with others in your group to experience the best of both. Reservations are accepted and encouraged during the high traffic season. Free delivery of stand up paddle boards and kayaks to other locations within the Ocean City environs is also available. Long term rentals are now available for Kayaks and SUP. Call for more information and price list. The sunset cruise takes place while the waterfowl and shorebirds are busy hunting and gathering food for the night. Many times you will see turtles, schools of menhaden, a variety of crabs and jelly's on the bay's surface. When the schools of bait are plentiful you may see groups of porpoise rounding up dinner for the evening! It's a magical time on the water with the the sounds of gulls, turns and herons boasting their voice while the glow of the summer sun hits the horizon. Join the group for an unforgettable Ocean City, Maryland Eco Tour. Travel through the shallow waters of the bay and view nature at its best. During the day the wildlife is abundant and the water is the most translucent allowing paddlers to see all types of fish, crustaceans. and selfish. Skates and rays are best viewed in the morning while afternoon tours are sometimes better for birding. The waterfowl and birds of prey are out hunting and gathering as you meander through the marsh and open water. The tour reaches from 67th street to 97th street depending on the weather. 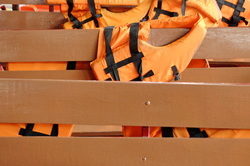 Both tours leave from our protected cove and paddlers are provided with the latest in safety equipment and paddling gear. Photographers on our trips often choose to bring a waterproof camera or water bags for alternate video and photography equipment. Other than your will for excitement, not much is needed to skim the water. Bare feet are recommended for Stand Up Paddlers for more grip and are fine on kayaks as well. The waters bottom is sandy and safe. For those a bit more leery of the bays bottom, water shoes can be worn on kayaks but not recommended for Stand Up Paddle. Personal belongings can be left ashore guarded by our staff or tucked away in your vehicle. We look forward to having you on one of our epic adventures. Take advantage of our SUP and kayak lessons. Free instruction with our Eco tours as well as standard rentals. Private lessons available and a great collection of instructional video to prep for your visit. Explore the back bays of Ocean City with our experienced staff. Free lessons with all rentals insure an unforgettable time on the water. Kayak, SUP, and paddle boat rentals see a good bit of nature as well. Although the rental area is not as vast as the terrain covered on the tour, you are bound to see the bay in it's natural form.